here you see my perspective drawing, we are looking at the front right side of the model. I drew this by firstly making a grid underneath the drawing to measure my model correctly, the I made a line in the center of my page and that would be my perspective line, then using that I was able to tell where all the angles would be. 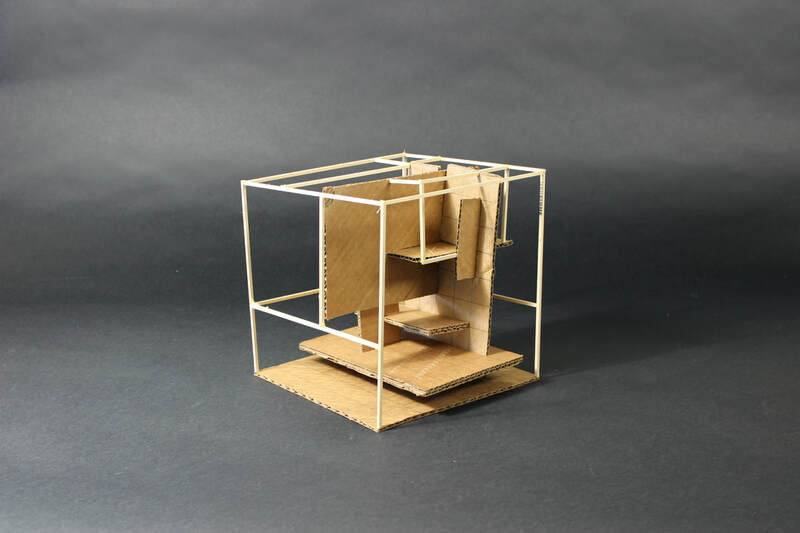 This is my fibonacci cube, this was made using three planes that I constructed using cardboard, after that I made six mor planes out of cardboard and added basswood planes to it to emphasize spaces that look the most visually pleasing or interesting.